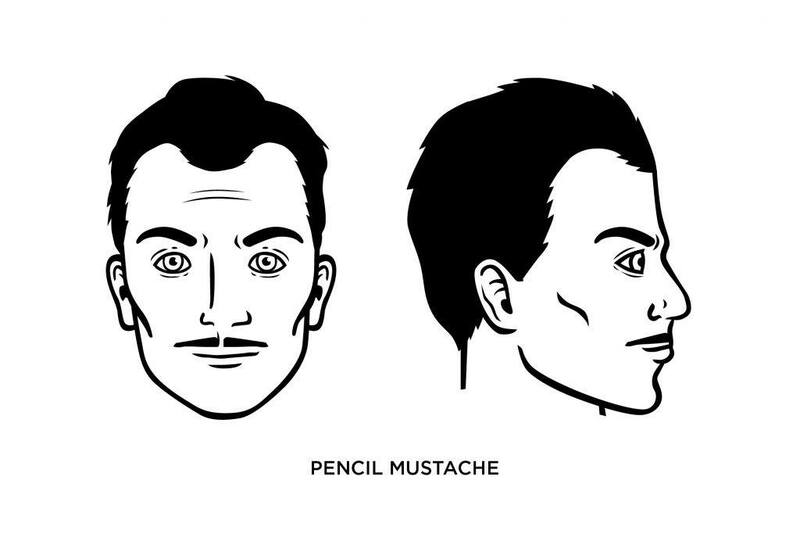 The Pencil Mustache: How to Shave, Guide, Examples, and More! There’s nothing too complicated about the pencil mustache. After all, it consists of a thin line of hair just above the lip – thin enough to appear as if a pencil drew it. But sometimes the seemingly uncomplicated, simpler things make a seriously sophisticated statement, and the pencil mustache often does that. 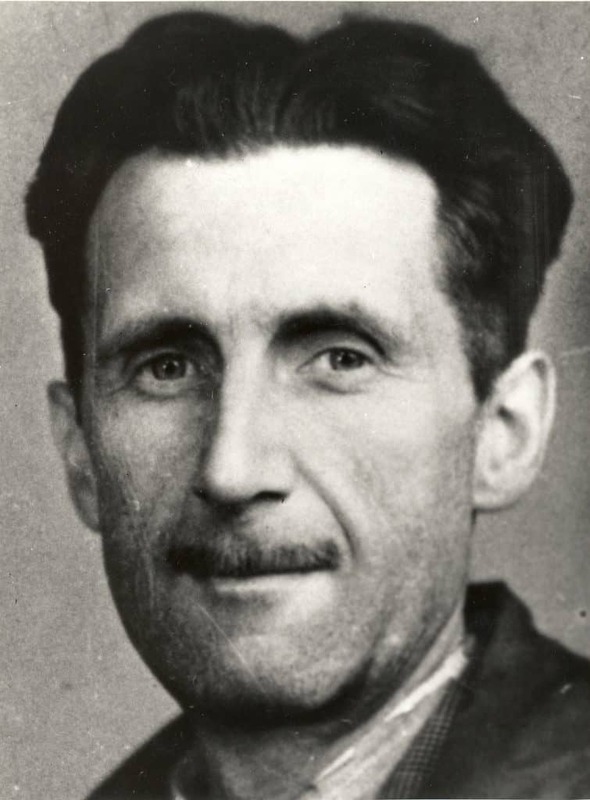 Actor Clark Gable and author George Orwell sported pencil mustaches, and they certainly weren’t alone. You’ve seen the photos: a man in an elegant suit and tie, cocktail glass in one hand, pencil mustache on his lip. While the popularity of the pencil mustache ebbs and flows, it’s never gone away. For men looking for a clean, professional look in their facial hair, a pencil mustache is a good option. But pair it with the right clothes. A pencil mustache with a faded T-shirt just doesn’t work. You’re a stylish, debonair gent who wants to represent a cleaner look than the rank-and-file. You like giving off the impression that you have a large vocabulary and understand proper manners. Women enjoy wearing the finer things when with you. What Face Shape Best Fits the Pencil Mustache? The pencil mustache works well on oval, round, and square faces. While it looks easy and would seem to take little time, shaving/growing a pencil mustache is a bit more complicated than you would think. So, let your mustache grow until it’s nice and bushy; you’ll want to give yourself the safety net of extra hair before you begin trimming. If it’s your first time shaping a pencil mustache, make sure to begin with the highest settings on your trimmer and only use lower settings when you’re comfortable with what setting works best for you. 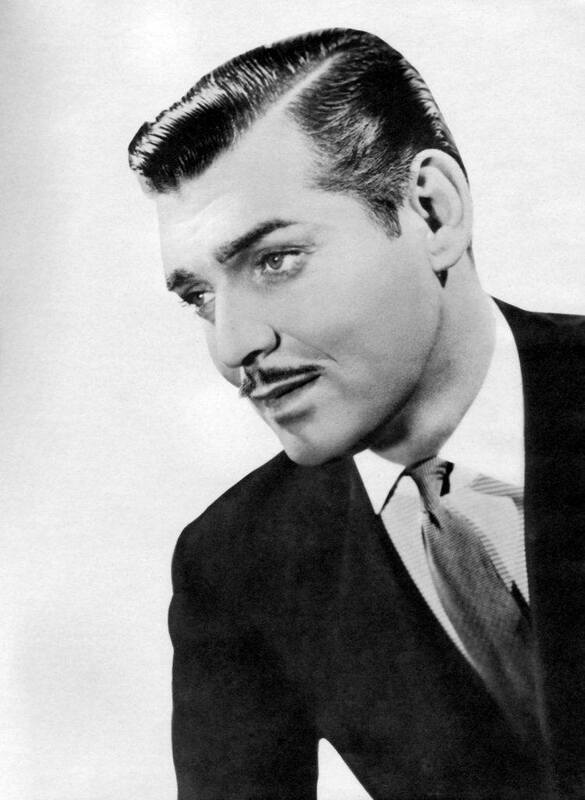 You should use a comb – such as the comb that comes with your trimmer – to “fluff” your mustache hair up. Combing separates the hairs and allows you to see which hairs have grown longer than the others, and makes it easier to trim the area. The final step is shaving the pencil mustache into its final shape. Your main focus will be on removing the hairs just below the nose while leaving a thin line just above the lip. While there’s no “rule” that says how thin your pencil mustache should be, the thinner, the better. What Famous People Wear the Pencil Mustache? We’ve already mentioned Clark Gable and George Orwell, but let’ not forget Sammy Davis Jr., Errol Flynn, Prince, and many others. This is my go to style when I’m tired of wearing a goatee or beard. Pity you could not have shown more casual clothing attire accentuating and complimenting the ‘Pencil Mustache’ look, but related to today’s ‘more casual modern life’. 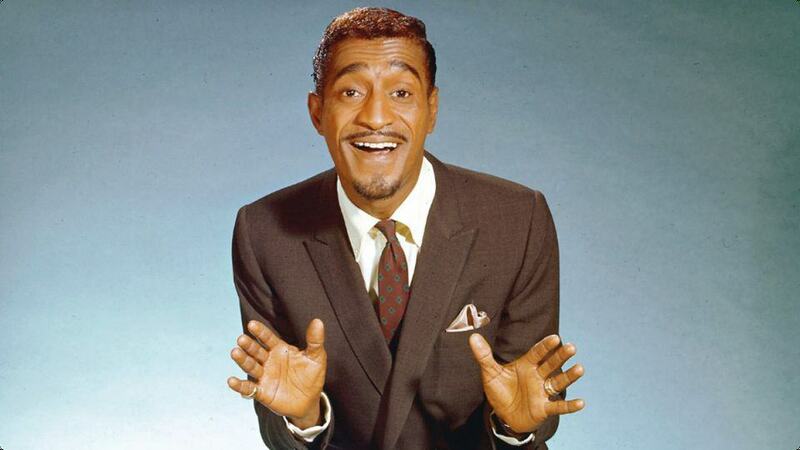 Everyone knows the Clark Gable/Sammy Davis Jr. upmarket, more on the ‘Jazz-tip’ suit style look. However, (? )what tends to make the “P-Must Pop” in today’s less formal fashion market?? !…we can’t all be wearing our snazziest ‘hip’ (almost Jazzy), Sharp Suit or Sports Jacket/Overcoat, every time we just want to call in at the Supermarket for some daily essentials. Guess it looks as if I’ll be searching endlessly through ‘B&W Archives’ to see how the ‘P-Must protagonists’ subtly pimped-it-up, even when needing a pint of milk and loaf of bread…without ‘Life’ All Becoming One “Peacock Parade” event just for some ultra trimmed neat bit of hair above one’s lips!